Many people find that shopping online is convenient and easy. You can buy a wide range of products and services on the Internet, from clothes to cars to even life insurance! In fact, many companies will provide free online life insurance quotes and calculators, allowing you to quickly find information that can help you choose what may work best for you. Guidelines for safe car seats for children continue to change in the footsteps of new studies and technology. The latest recommendations and laws are based on what works and what doesn’t. According to the National Highway Traffic Safety Administration (NHTSA), many people who believe that they have the correct car seat for their child actually don’t. 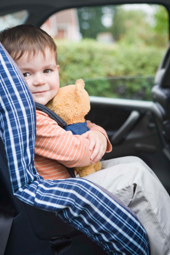 In addition, three out of four children in child safety seats aren’t properly secured or aren’t restrained at all because the seats have not been properly installed, notes the NHTSA. Your child also may be at risk if your car seat is outdated or is a hand-me-down because the seat may be damaged, recalled, or missing important parts. To help ensure that your child travels safely in a car, refer to the car-seat safety checklist below, based on recommendations from the NHTSA. The recent great recession, which has spawned a spate of unemployment and underemployment among recent high school and college graduates, has raised questions about the value of a college education. Some people assert that a college education is not worth the money, and note that many famous dropouts are doing just fine. In fact, this way of thinking is misleading. During the past decade, technology has greatly impacted the way that kids learn in a classroom. In addition to desktop computers and television, many schools now use tools such as video conferencing and tablet computers to help bring lessons to life. Motivating children to help around the house is not always easy. 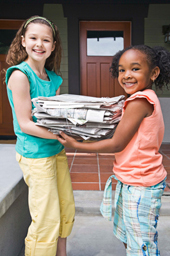 What if you could motivate your children to undertake household projects more enthusiastically?